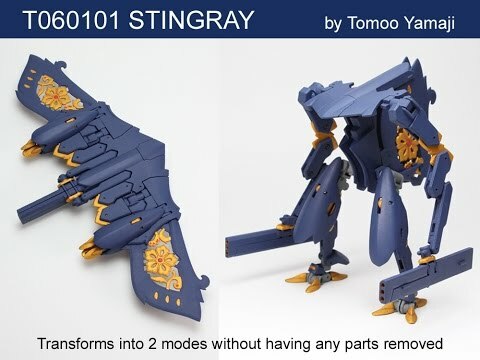 This model transforms into 2 modes without having any parts removed. The product is available in kit form and needs to be assembled by the customer. The 3D printed parts are assembled with the screws and already have the screw holes. No adhesive is required for assembly. Please contact me via email and I will ship the screws and some other materials to the customer with no additional cost. Enjoy the transformation mechanism on your hands. Please see my website (http://www.tomooyamaji.com/) for more information and downloading the assembly manual.